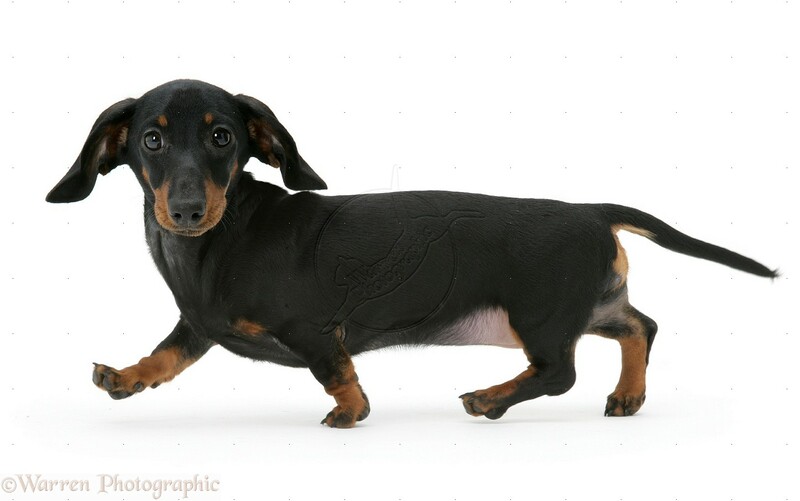 Dachshund is an active, muscular, fearless, intelligent dog with a long body and short legs. The energetic Dachshund needs a lot of exercise and is very popular as a pet. The Dachshund was originally bred in Germany to hunt badgers and flush them from their burrows. The name Dachshund means “badger dog” in German. The Dachshund is a low-slung dog. The fur is black, chocolate, tan, red, or gray. Some Dachshunds are short-haired, some are wire-haired, and others are long-haired with sleek, slightly-wavy hair and a fringed tail. Standard Dachshunds are from 5 to 10 inches (13-26 cm) tall at the shoulders and weigh from 16 to 32 pounds (7-14 kg). Miniature Dachshunds weigh 11 pounds (5 kg) or less as an adult.